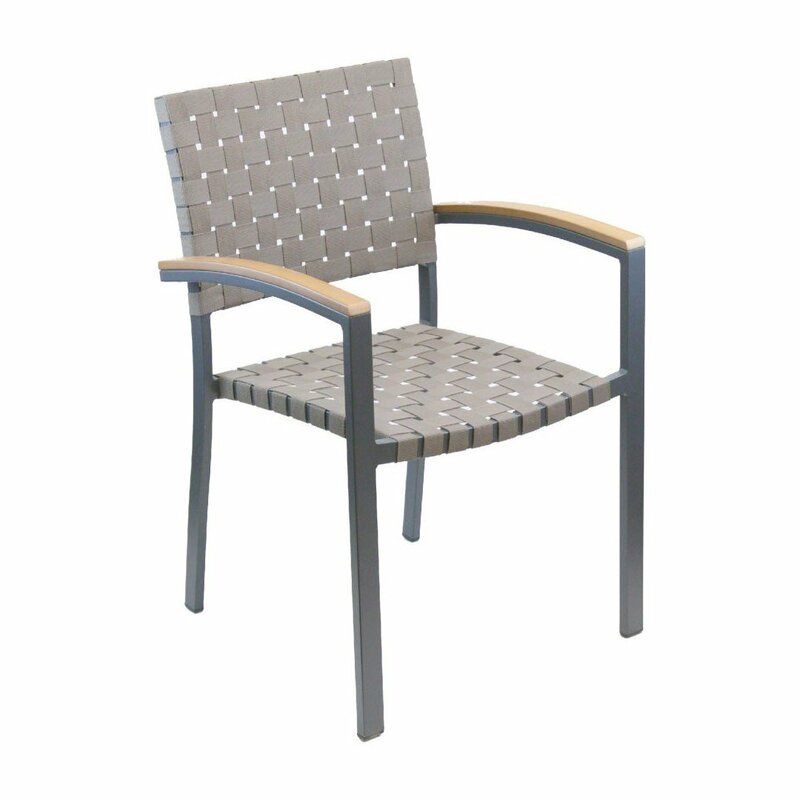 Uptown Outdoor Restaurant Dining Chair with Stackable Aluminum Frame and Mesh Belt Seat - 12 lbs. This Uptown outdoor restaurant stackable dining chair is a spectacle in front of coffee shops, city bistros, and contemporary diners. 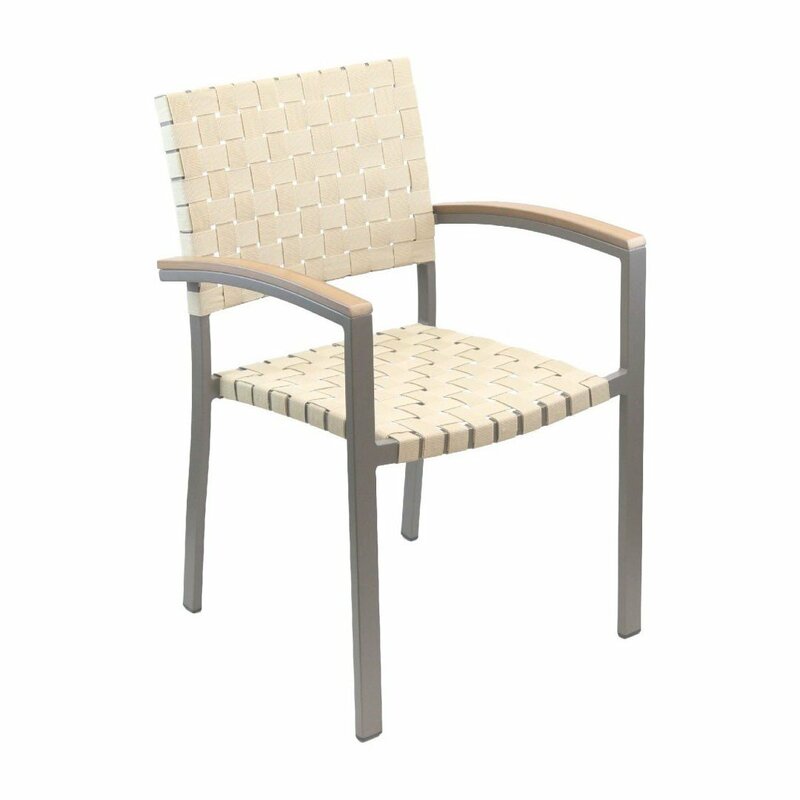 Made from commercial grade, powder coated aluminum, this dining chair will stand through the elements without chipping, fading, or rusting. The back and seat are beautifully woven mesh belts, that provides comfort with a modern style. Our restaurant furniture is built to last and come with a 2-year commercial warranty. • Dimension: W 16" x D 17.5" x H 33"